Nampak's board of directors is committed to ensuring that the group adheres to the highest standards of corporate governance. The board is responsible for the strategic direction of the group, while maintaining control over all material issues affecting Nampak. Mr Surgey was managing director of Plascon and chief executive officer of Barloworld Coatings from 1992 to 2003. 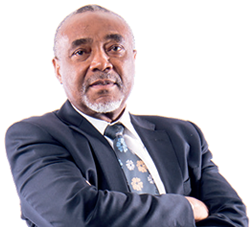 From 1995 to 2008 he was a board member and director of Barloworld Ltd. Mr Surgey also served on the remuneration and audit committees of Control Instruments (Pty) Ltd and NCS Resins (Pty) Ltd. 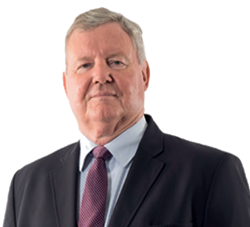 He is currently the chairman of Eazi Access Investments (Pty) Ltd and director and shareholder of Earth Probiotic Industrial (Pty) Ltd.
Mr Andersen is the former chairman of Sanlam Limited and former CEO of the Liberty Group and president of the JSE Ltd. 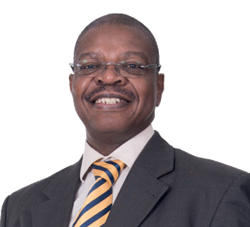 He is currently a member of the King Committee on Corporate Governance and director of Aspen Pharmacare Holdings Limited, Sasfin Holdings Limited, Sasfin Bank, Chief of Defence Reserves of SANDF with rank of Major-General. He also serves as a trustee on the South African Museum of Military History Building and Development Trust and SANDF Education Trust. Mr Ikazoboh is currently the chairman of the board of Ecobank Transnational Inc. and managing director of a business process outsourcing company in Nigeria, Hedonmark Management Services. Previously he served as administrator of the Nigerian Stock Exchange and chairman and CEO of Deloitte West and Central Africa. 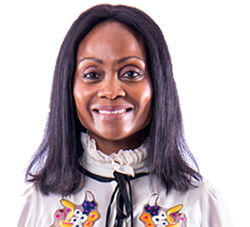 Ms John is the Chief Audit Executive of FirstRand Ltd and held various audit roles at Discovery Holdings Ltd, Telkom SA Ltd, Eskom, Toyota SA and RMBT Property Services. She served on a number of boards and audit committees of both public and private sector entities and is the vice-chairman – professional certifications at the Global Institute of Internal Auditors. 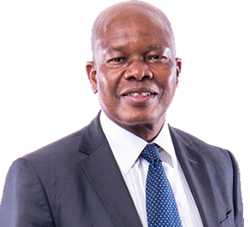 Dr Khoza is the Chancellor of the University of Limpopo and a founding director of the Black Management Forum and former chairman of Eskom Holdings Limited and Nedbank Group Limited. He is a fellow and president of the Institute of Directors in Southern Africa, a deputy chairman of the King Committee on Corporate Governance and a visiting professor at Rhodes University, the University of the Free State and Wits Business School. He also holds a number of other directorships. Ms Lila was appointed as the chief executive officer of the Eskom Pension and Provident Fund on 1 April 2018. 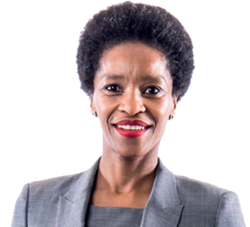 Previously she was the chief financial officer of the Eskom Pension and Provident Fund and served as an independent non-executive director of Basil Read Holdings Ltd and the Johannesburg Development Agency. Currently she serves as director on enX Group Limited and African Group Lubricants (Pty) Limited. Prof Madi is a qualified attorney and owner of the venture capital business, Madi Investments. He is also a retired ad hominem professor at Rhodes University and a professor of management studies at the University of Johannesburg. He is a director of the Spar Group Limited. 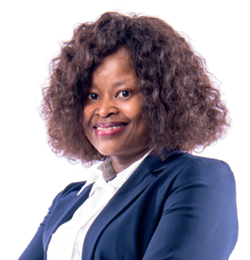 Ms Mkhari is the co-founder and CEO of Motseng Investment Holdings (Pty) Ltd, a diversified investment holding company that was founded in 1998 and operates in South Africa and other African countries. She is also a director of Kap Industrial Holdings Limited and the South African Property Owners Association. 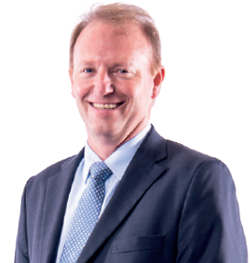 Mr de Ruyter spent more than 20 years with the petrochemicals group Sasol in a number of senior management roles. He was a member of the Sasol group executive committee from 2009 to 2014 and was appointed as CEO of Nampak in 2014. 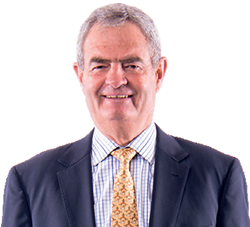 Mr Fullerton commenced his career at Deloitte where he completed his articles in 1987. He has held numerous senior finance positions at HL&H and Computicket, before joining the Malbak group in 1995, where he was finance director in various divisions until 2000. 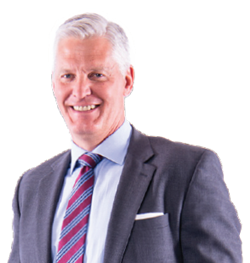 Mr Fullerton then joined MB Technologies Group as chief financial officer and in 2009, became chief executive officer until October 2013, when he left on a sabbatical. He became chief financial officer of Nampak in September 2015. 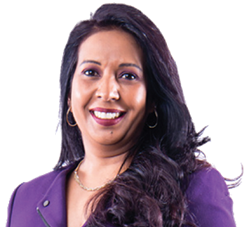 Prior to joining Nampak in 2017 Ms Seleoane was the group human capital executive at Adapt IT (Pty) Ltd. She held executive positions at Primedia and De Beers.